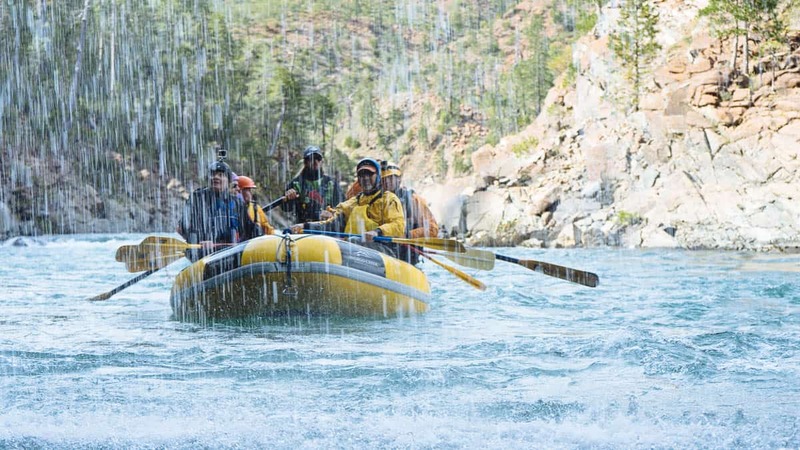 Do I dare say this river is the most scenic and fun Class IV rafting trip in California? No, because you are very likely to freeze your but off. This trip is normally done during or soon February or March rainstorms. 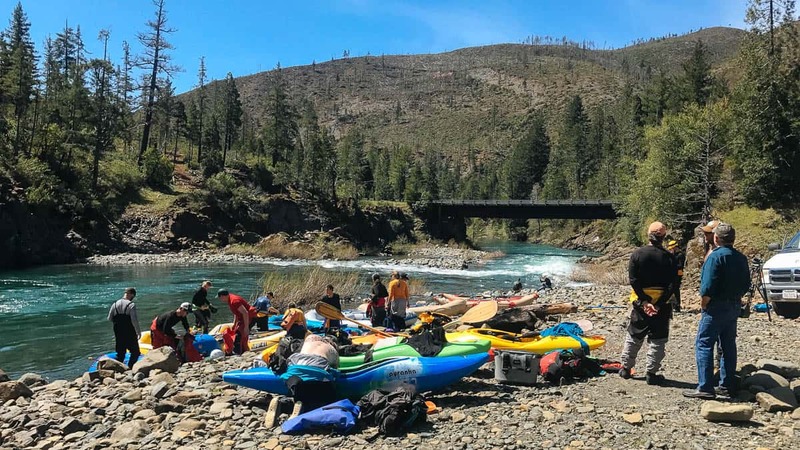 The North Fork of the Smith River begins in Oregon's Kalmiopsis Wilderness and the put-in for this classic section of river is just south of the Oregon-California border. You'll enjoy a fairly long and very scenic (unless it's raining) drive to put-in at Major Moore's where you'll get a sense of this remote area. Upon arrival you'll immediately be awestruck by the clarity and greenish color of the water. Due to the unique serpentine geology upstream, the North Fork runs clear even when the water is high. The river begins with some great warm up rapids. After Diamond Creek enters on the left side the rapids begin to increase in intensity. 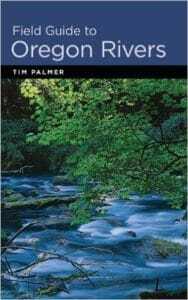 The Redwall Gorge starts around mile four with a number of great Class III and IV rapids. 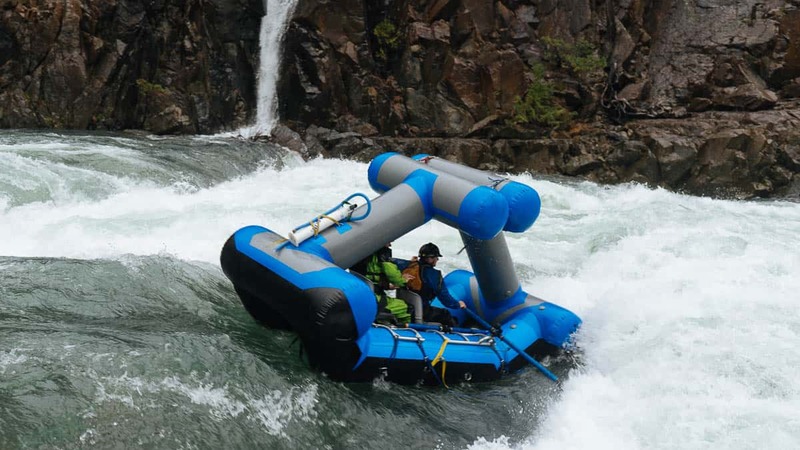 The rest of the run is scattered with Class III and IV rapids. There are several wonderful stops on the North Fork to visit waterfalls and side creeks. 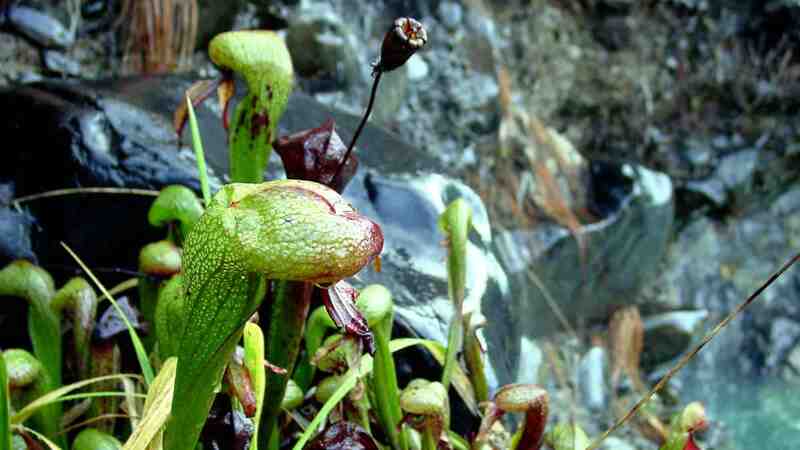 At most of these stops, you'll have a chance to check out the Darlingtonia Californica (aka "Pitcher Plant" or "Cobra Lily." This is a rare carnivorous plant that uses ultraviolet guides and slippery wax to lure insects and spiders into it's inner workings. Darlingtonia Californica are also known as "Pitcher Plants"
You're a lucky one if you get a chance to paddle the North Fork of the Smith. Just remember to bring plenty of warm boating gear and a thermos full of hot chocolate. 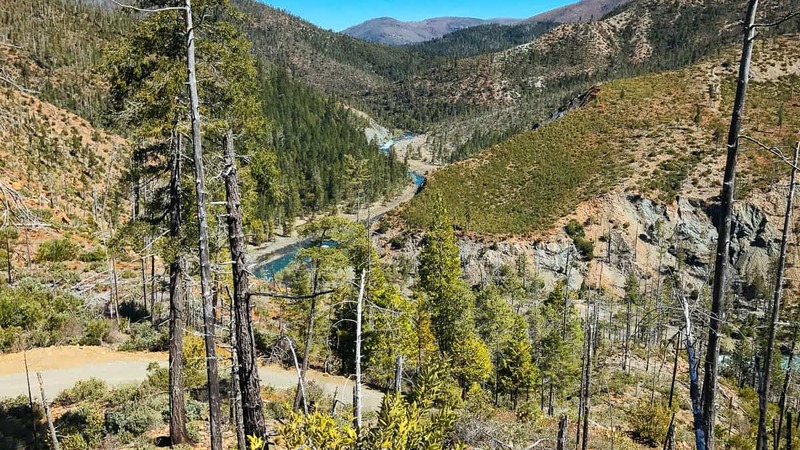 Mile 0: Put-in at Major Moore's (also known as Browns Flat) just upstream of the Low Divide Road Bridge. Mile 1.5: Diamond Creek enters from the left side. 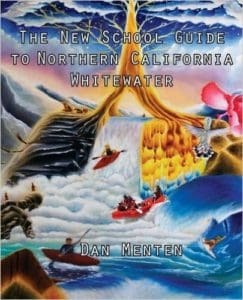 Adventurous paddlers can put-in on Diamond Creek if they have a good truck and some good maps. The section below the confluence with Diamond Creek is known as the Redwall Gorge. 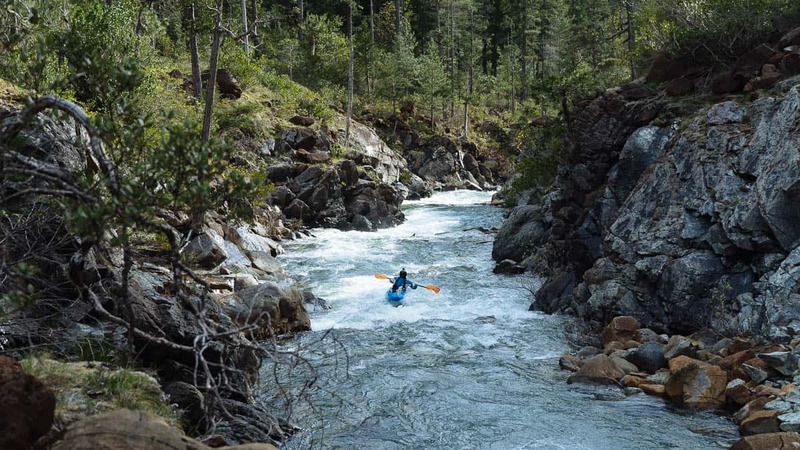 Mile 3.1: Scout Rapid (IV+) is the most difficult rapid at most flows and should be scouted from the right. Mile 3.4: Ledge Rapid (IV) typically has a big ledge hole that needs to be avoided. Mile 4: Still Creek enters from the right side and marks the end of the Redwall Gorge. This is a great place to regroup and have lunch. Mile 8.35: Golf Course (IV) is a long rapid with some big holes at the bottom. Mile 8.8: Peridotite Creek enters from the left side. Mile 9.25: The Grotto is a beautiful waterfall you can paddle behind. Mile 10: Waterfall Alley is a beautiful section of river with many waterfalls that enter from the right side. Mile 12: Stony Creek enters from the left. 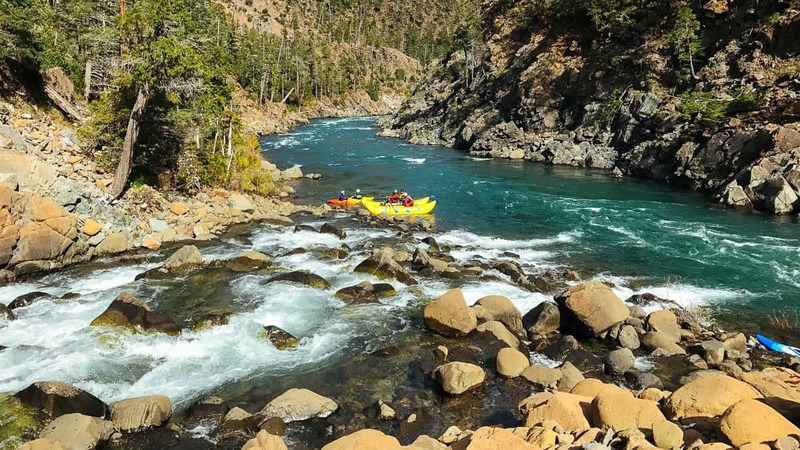 Mile 13.2: Kayakers can take out at the confluence with the Middle Fork of the Smith by hiking up the rocks next to the steel pipe to Gasquet Flat Road. It would be tough to take a raft out here so rafters typically continue down to Gasquet. Mile 14.8: Take-out at Gasquet.